This time is he IS wearing a aqua/green-colored collar and has a microchip as well. He will be confused, bedraggled and probably hypoglycemic. 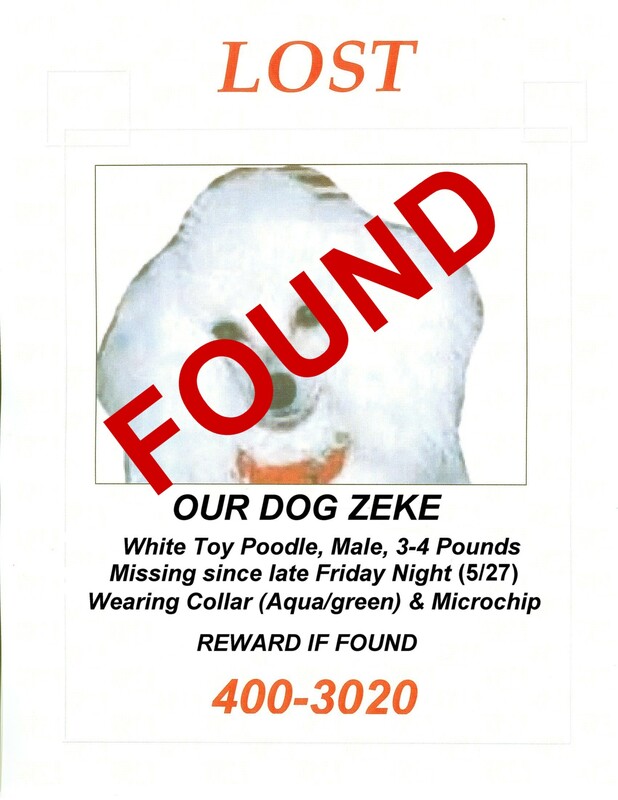 Please call the number on the poster (it’s a Utah Valley number) if you find poor little Zeke or leave a comment here. THANK YOU! Someone just found lil’ Zeke (after he’d wandered outside in the cold and rain for twenty-four hours) and called us. Thanks so much, rescuer! Damn! I should have used the title, “Whoops, he did it again….” and given you all tune cooties. You all. Hmmm. The two of you? THREE? I can dream….